Growing culinary herbs has been a practical past time for thousands of years. Extensively used in cooking around the world, herbs can accommodate even the most discerning of tastes with a multitude of flavors and scents that will supplement your favorite recipe. Almost everyone has added parsley to their fish dishes. Parsley is also great in dishes made with cheese, chicken, and lamb. It should be used for much more than just a garnish on the side. It also gives great flavor to soups and salads. Thyme comes from the leaves of a small, woody-stemmed plant. It is a versatile herb when it comes to cooking. Just a few uses are in sauces spread over beef, stews, grilled chicken and even tuna casserole. Basil is likely the most frequently used additive used to prepare Italian food. It adds the perfect touch. There are a wide variety of uses for basil, ranging from pasta to pizza to soups. When fixing tomato paste, simply sprinkle a bit on to create a delicious dish. Two related herbs with spice are tarragon and aniseed. Tarragon’s spicy narrow leaves work well on fish or add it to mayo for a tangy alternative. Anis’ taste resembles licorice (and is actually used in artificial licorice) and also provides a new twist to a traditional recipe. Growing culinary herbs isn’t very difficult. They require only the same things that any type of herb does – sunshine, water and soil. In fact, they are rather hardy and quite resistant to disease. It’s true, growing herbs for cooking is quite easy! Another popular thing that you can grow in your garden is coriander. Coriander can be yielded from the plant which forms the base of cilantro. It is known for having a strong, citrus-like flavor and is regularly used on pork or in curry. The sweet zing coriander offers is popular in chutney as well. Another herb often found in chutney is dill. Dill has a slight tanginess that lends itself to pickling, topping salads, or even adding to olive oil. There are a number of popular herbs in the mint family. Rosemary and sage are two such herbs that are regularly incorporated into dishes. Peppermint can often be used in dishes to create a zesty odor and taste. Finally, mint is regularly used with veal or potatoes, in soup, and to make jellies. Anyone feeling a little adventurous might want to try the more uncommon herb, saffron. The unique pungency complementing its honey-like flavor produces results that are just a tad different from the more typical flavorings. Used for a traditional rice pudding by the Turks, it’s also great in fish and chicken dishes. Using herbs for cooking can be great fun, and you’ll discover once you give them a try that they can help you turn a mundane dish into a culinary work of art. Growing culinary herbs will help you add just the right flavor to your recipes, whatever your cooking style. Most people have heard of chamomile, which is an herb derived from the dried chamomile flower. It’s well-known for the tasty tea that it makes. Chamomile tea is a soothing drink with gentle sedative powers. Some people claim that it reduces inflammation and fever, but that remains unsubstantiated. Other studies suggest that chamomile inhibits bacteria involved in stomach ulcers, but that remains unsubstantiated as well. Some people are allergic to chamomile’s pollen, but it is safe for the majority of people – despite it not quite being a “miracle cure” as certain claims state. Echinacea is one of the herbs used for medicinal purposes that is rather well studied. It is a perennial plant with a whole host of ingredients that have been studied thoroughly. It is believed to aid the immune system in its natural functions, and is often employed in treating upper respiratory issues triggered by colds. However, more evidence is still needed before proving its immune system properties conclusively. There have been some studies on Echinacea that suggest that it can ease the symptoms and length of the common cold. Other studies also showed that it can help reduce the chances of catching a cold. Since there are so many factors that go into someone actually getting a cold these statements are very hard to prove. At the very least this herb is generally thought to be safe for people to take. If this herb amounts to nothing else it could be used as a decent placebo. A trained physician is the only person who should be sought out to learn whether or not medicinal herbs are safe or not for individuals with certain ailments, such as diabetes. Anyone familiar with medicinal herb gardening probably knows about Feverfew, a lush perennial that has ingredients like parthenolide and glycosides, believed to aid in treating inflammation and migraine headaches. Though it isn’t conclusive, there is something to this idea. Feverfew is known to reduce the incidence of blood clots. There are many uses for this homeopathic medicinal herb, but some of the potential side effects include, skin inflammation, mouth ulcers and high blood pressure. Another side effect may be the reduction of iron absorbed into your body. This ancient herb was utilized by people in China and India for thousands of years. It comes from the ginseng plant and can take many forms. Research has shown that it may lower blood sugar and increase ‘good’ cholesterol. It has never been proven that it will enhance sexual performance. It may have a placebo effect on the user, and that might be just as helpful in this particular situation. There are compounds that act like estrogen in ginseng, so woman who are pregnant or breastfeeding should not take it. If a person takes a lot of ginseng, they might induce an asthma attack or lower their blood sugar to an unhealthy level. It’s important to research any herbs used for medicinal purposes, because they can be a health risk in some cases. People have shown that some herbs have very helpful benefits, but it’s nearly impossible to be objective about anecdotes, so be careful. 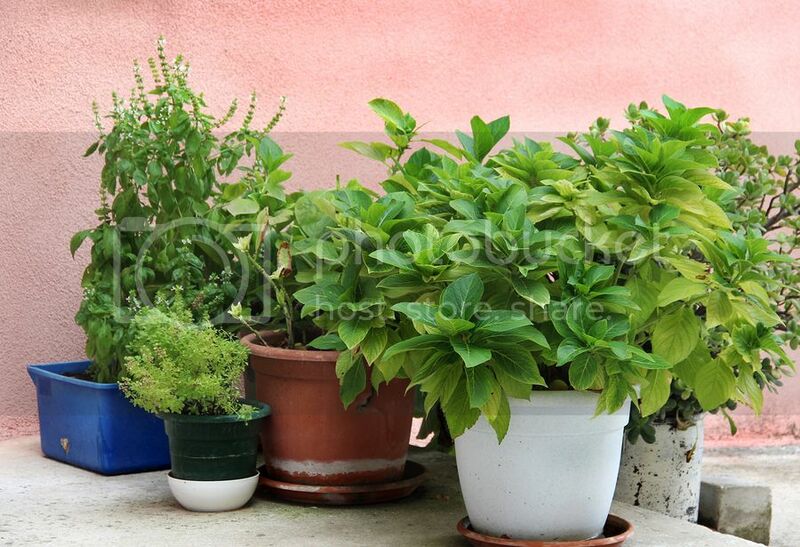 Medicinal herb gardening can be done in any home garden, in pots or in the soil. It’s not any harder than growing any other type of perennial and you will have fresh homeopathic medicinal herb plants that you can use for what ails you! Build your fat loss workout around heart rate.